Once spring is in full swing, it’ll be nearly impossible to resist spending every spare minute outdoors. 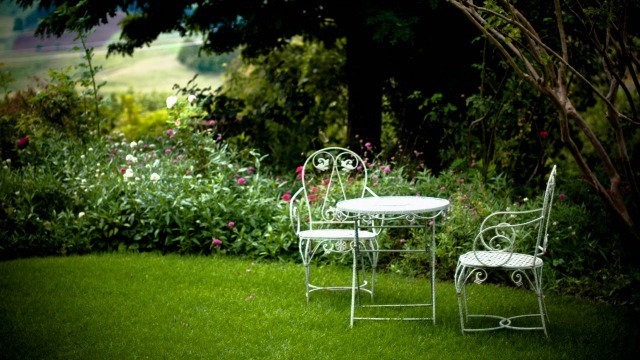 So what better time to take advantage of the great weather and throw a garden party? 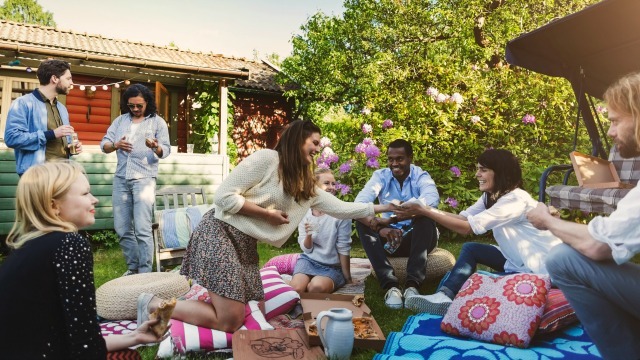 To keep stress to a minimum and enjoyment to the max, check out these tips for hosting the ultimate alfresco affair. 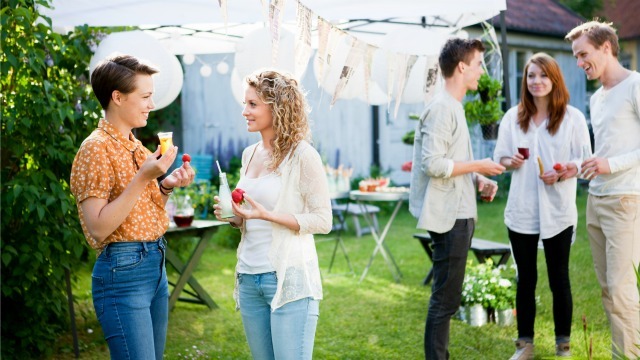 First things first, you’ll want to pin down a ballpark estimate of how many people you plan to invite — this is particularly important when hosting a garden party, as space and seating limitations can be a major factor in alfresco events. Once you’ve nailed down the guest list, aim to get your invitations in the mail no later than two weeks out (up to six weeks for more formal affairs). The entire tone of a party can be set by the colors and coordinating decor you choose. Don’t overthink it, though. Bright, simple decor makes a big statement and — bonus — is readily available and often affordable. Cool coastal colors such as aqua and mint are crowd pleasers, and pastels are always popular for springtime soirees. As a rule of thumb, choose only a few core colors: at least one soft “base” color and one or two more vibrant pairings. Remember that guest list? Here’s where it really comes into play. While you don’t need to have a seat available for everyone in attendance, it’s a good idea to provide seating for a little less than half of the crowd (30- to 40-percent). If the party you’re planning is more upscale, consider calling in a furniture rental company to provide chairs and tall tables to act as mingling zones. But if you’re going for a more boho vibe, nothing is off limits! You can pull in lawn chairs, patio chairs, camping chairs, outdoor cushions — an eclectic mix can be charming, not to mention comfy. I learned this trick from one of my favorite interior designers, who also happens to throw the most fabulous parties ever: create different food stations around the party to encourage mingling and flow. All too often, a party will consist of one main buffet table, leading to a bottleneck situation. If you spread the food and drinks around in different zones, your guests are more likely to move about freely and strike up organic conversations with each other. 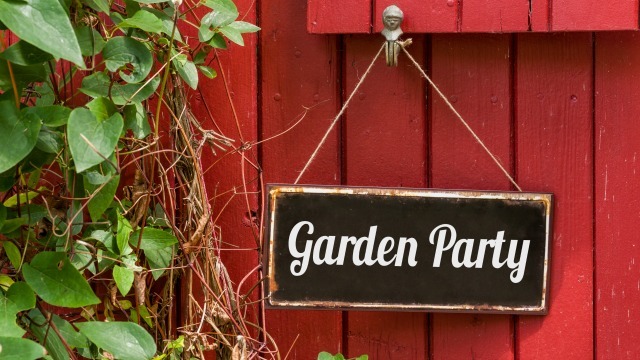 If you’re having a garden party, your garden is a pretty important part of the equation, right? In the days leading up to your party, pay special attention to your flowers and plants: weeding as necessary, watering, etc. The day before the party, cut your lawn but — whatever you do — don’t water it, if at all possible. People will be walking on the lawn, after all, and there’s also the distinct possibility a guest or two might find themselves seated in the grass at some point. No one likes a soggy bottom. 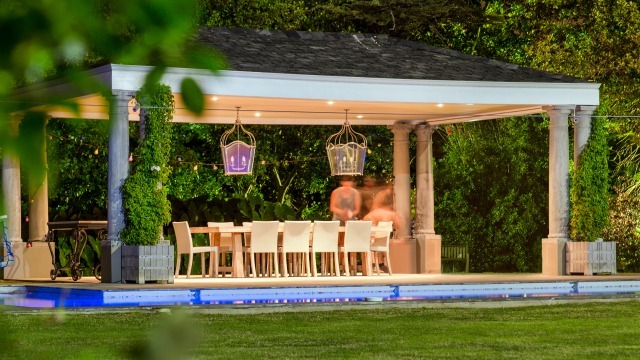 If your party is going to stretch into the evening or even the dusky pre-evening hours, you’ll need to consider lighting. And, to be honest, this is one of my favorite parts of a garden party! String lights are one of the most affordable options, and even simple white holiday string lights add interest. 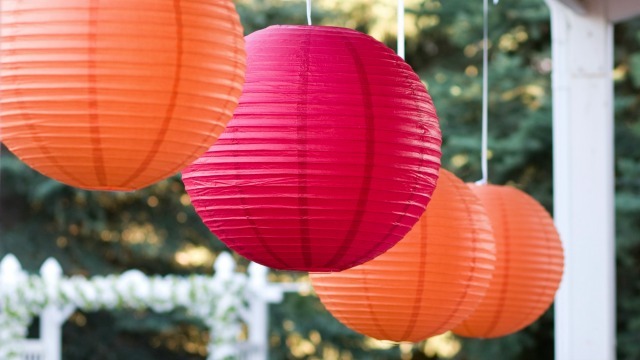 Globe-style string lights boasts beacoups charm, too, especially when draping from a pergola. “Tiki” torches are a festive option if you’re going for a tropical feel, but are best-suited for parties sans kids — the same goes for candles, which lend romance. 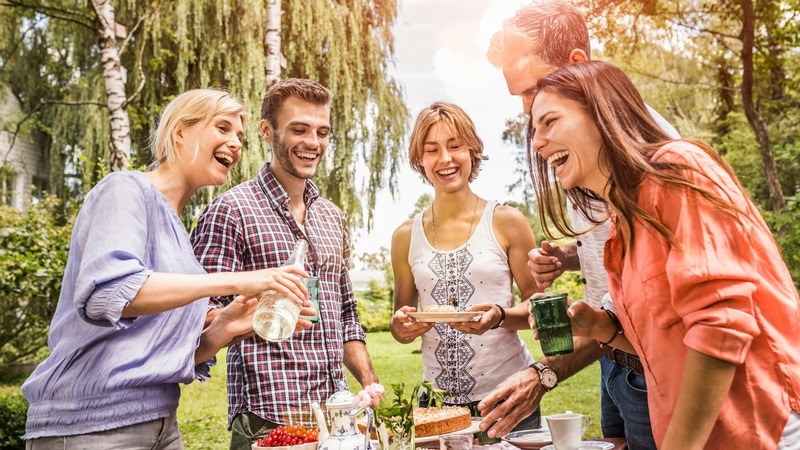 Food can be one of the most stressful aspects of planning an outdoor party, but it doesn’t have to be if you keep things relatively simple. Just remember to keep portability in mind. Your guests are going to be moving about and mingling, so you’ll need foods that are easy to grab and go. 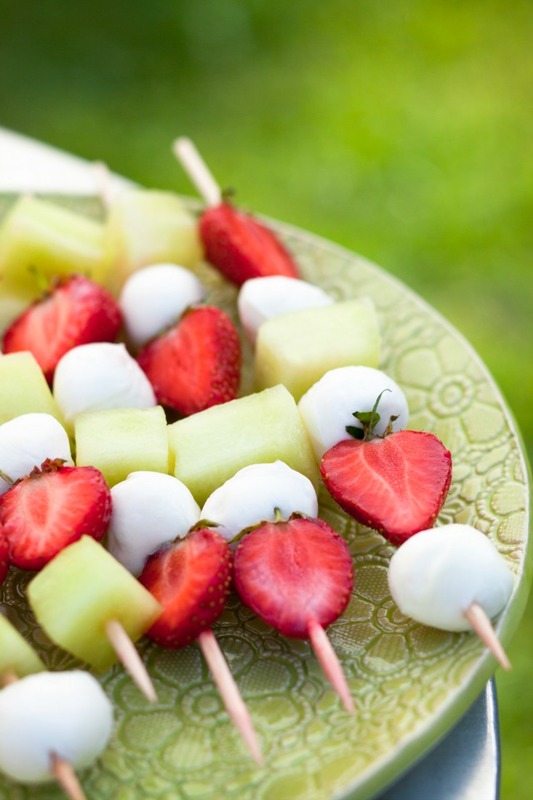 Fresh fruit — either served in clusters or served on kabobs — is a classic choice. Wraps and sliders are portable and popular, too. If your invitations extended to the under-12 set as well, think about creating an entire mini-zone of kid-friendly foods. And always, always be cognizant of food allergies. 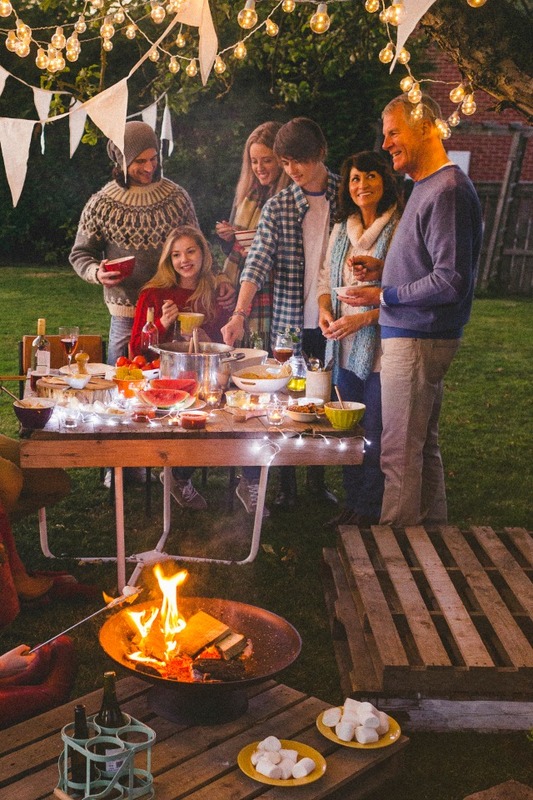 There are certain foods that have inherent pitfalls when it comes to outdoor parties. 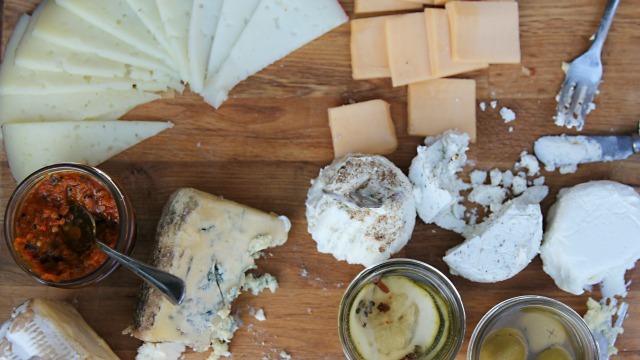 For example, while guests undoubtedly love cheese trays at first, no one digs it once the cheese starts to feel greasy and gross. In general, dairy or mayo-based foods are a bad idea, since fluctuations in temp can lead to spoiling. Also, for less fuss affairs, skip foods that must be served piping hot or extremely chilled. Anytime you’re in the elements, you want to ensure you have drinks at the ready to rehydrate. For a garden party, that means you’ll want to make sure you cover all the bases. Iced or bottled water is a must. In addition, go for at least two non-alcoholic beverages (think tea or lemonade), along with both regular and diet variety sodas. As for alcoholic beverages, that’s a judgment call. If you keep the bar stocked and open, guests may be tempted to overindulge and get, well, silly (we all have that one friend… sometimes it’s me). 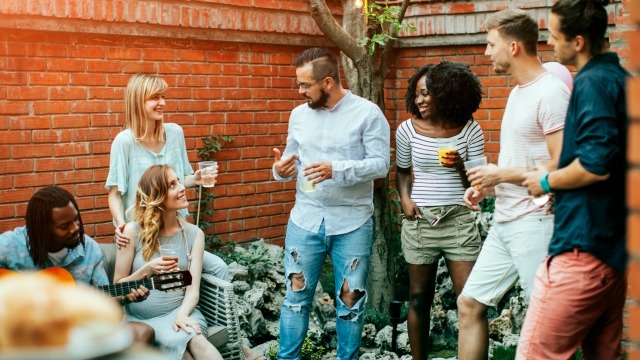 If you want to minimize that possibility, you could always indicate the party is BYOB or simply offer a signature cocktail for the occasion. Every good party needs a good soundtrack. Music playing in the background has a relaxing effect on people, which pretty much makes it a necessity. You can use your smartphone or any MP3 player to create a playlist, then have it stream using wireless speakers. If you aren’t sure what tracks to add, you can find all manner of pre-made playlists on Spotify to suit the vibe you’re going for. Despite our best-laid plans, sometimes garden parties can go awry (because, life). But there are a few things you can consider ahead of time to avoid undesirable eventualities. First, since Mother Nature isn’t on anyone’s schedule but her own, have a backup plan. Even if it is supposed to be 75 and sunny the day of your shindig, a contingency plan such as a gazebo will ensure you don’t wind up standing in the rain. Similarly, keep throw blankets on hand in case a cold front moves in. And, finally, consider creepy crawlers — have your yard sprayed with non-toxic bug spray before the big day and have bug spray on hand if you live in an area with particularly potent mosquitoes. This post was sponsored by FLONASE® Allergy Relief.